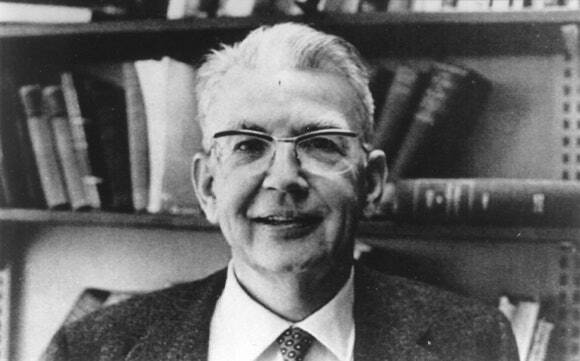 In 1960, Ronald H. Coase published his seminal paper “The Problem of Social Cost.” It would become one of the most cited economics works in history, an impressive feat for a paper without a single mathematical equation. In it, Coase challenged the prevailing wisdom on externalities — situations in which the actions of one party impose external costs on another. Coase contended that if certain conditions were met (well defined property rights and low transactions costs), bargaining would take place and a socially optimal outcome could be realized. This approach contrasted that of fellow Brit Arthur Pigou who prescribed taxing the offending behavior as a means of internalizing the externality. In Coase’s world, the optimal solution does not necessitate a third party regulator imposing taxes or restricting behavior. But the ideal conditions Coase envisioned are illusive. It is not always clear who has the right to do what, who is liable, how extensive the damage is, or even who the relevant parties are. Take the case of agriculture and water pollution. A Midwestern farmer whose nitrogen fertilizer runs into the Mississippi River, ultimately contributing to algal blooms in the Gulf of Mexico, is one of thousands of responsible parties (including urban polluters). These information problems make it impossible for the many disparate stakeholders to negotiate for better water quality. Nearly 60 years later, disruptive innovations are giving Coase’s insights a second act. Others have connected the rise of the “gig economy” with an earlier work by Coase, “The Nature of the Firm,” which explained how high transactions costs force firms to bring operations in-house. Apps like Uber and Task Rabbit make it easier to hire out for specialized tasks by lowering the cost of contracting. Coase would have been particularly interested in blockchain technology. Dubbed “the trust machine” by The Economist, blockchain links chunks of data together in “blocks” that, once added to the “chain,” cannot be altered, thereby ensuring security and reducing counter-party risk. The need for third party authentication is eliminated by requiring approval from participants in the blockchain before new blocks can be added. Blockchain and it’s derivative smart contracts are already being used to ensure food traceability, streamline supply chains, and secure property rights in the developing world. But the technology could also help realize the Coasean solution to “The Problem of Social Cost.” Let’s return to the example of the Midwestern farmer and water pollution. As it stands, there is no way to know exactly how much a given farmer contributes to water pollution in the Gulf of Mexico (standard non-point source pollution problem). Even if there was, by how much would they be required to reduce their nutrient application and how will their behavior be monitored to ensure compliance? What value do environmentalists, fisherman, and other downstream interest groups place on clean water in the Gulf? Do their rights to clean water trump the right of the farmer to a full crop? Clearly, Coasean bargaining cannot take place in this context because the information problems are too complex. Advancements in field sensors, united with blockchain technology, may provide a path forward. Until recently, researchers and regulators were limited to monitoring nutrient runoff at the watershed level but edge-of-field (EOF) monitoring allows individual producers to know what is coming off their fields in real time. Runoff data could be uploaded automatically to a blockchain ledger distributed among watershed stakeholders with proper security protocols to ensure data accuracy and privacy. Using smart contracts, downstream users, environmental groups, or public agencies could compensate individual producers for demonstrated reductions in nutrient runoff. This blockchain-based approach satisfies Coase’s second requirements for bargaining (low transactions costs) but not the first (clearly defined property rights). Property rights to water quality could be established by capping the total amount of allowable nutrient pollution for a given watershed and allocating tradeable permits. Farmers that can easily demonstrate runoff reductions using filter strips or site-specific management may sell their permits to those with higher runoff abatement costs. The price of permits is determined in the market based on users’ relative value scales and productive endowments. The Coase Theorem, powered by blockchain, may help resolve large scale externalities but enthusiasm should be balanced with reality. A recent review of 43 blockchain case studies in the developing world could not identify a single instance of success. As someone whose work was often misrepresented, Ronald Coase would understand the dangers of over-promising the technology. But where blockchain can be leveraged to better define property rights, lower transactions costs, and allow for bargaining, Coase would celebrate it. At the very least, it’s worth exploring. Trade, politics, and search engines. The election of Donald Trump has had a curious effect on peoples’ perceptions of trade. During the 2016 presidential campaign, Pew Research reported that the percentage of Republicans believing free trade agreements to be good for the U.S. was 32 percent, down from 51 percent just one month before Trump began his presidential bid. Search traffic helps reveal how Americans have reacted to trade headlines. Google searches of “what are tariffs” surged on news of the steel and aluminum duties in March of this year. The share of positive to negative trade related search queries changed as well. Searches for “free trade,” a generally positive connotation, was stable while searches for “tariffs” and “trade war” spiked, overtaking searches for “free trade” for the first time. Searches related to “tariffs” and “trade war” indicate negative responses to headlines. The interest in these terms relative to the more favorable “free trade” could proxy for voters’ anxiety or unease over trade disputes. I looked at the change in relative search traffic for positive and negative search terms by state between 2013 and 2018 using data from Google Trends. Negative searches rose relative to positive searches in all 50 states but changes were varied. States that voted strongly for Clinton saw the largest shift toward “tariffs” and “trade war” searches in 2018 while strong Trump states saw a more modest change. Surprisingly, potential economic losses from the trade war (estimated by the U.S. Chamber of Commerce) are not strongly correlated with the change is search traffic. I ran a simple OLS regression with the change in searches for “tariffs” and “trade war” as a share of searches for these terms plus “free trade” as the dependent variable and Trump’s vote share, potential economics losses, and dummy variables for different regions of the U.S. (Northeast, Mountain West, Corn Belt, etc.). Notes: White’s robust standard errors shown in parenthesis. Estimated economic losses from trade war provided by U.S. Chamber of Commerce at https://www.uschamber.com/tariffs. State GDP figures are for 2017 and come from the Bureau of Economic Analysis (BEA) https://www.bea.gov/data/gdp/gdp-state. The table confirms a negative and statistically significant correlation between politics and changes in trade interest. A 10 percentage point increase in Trump’s share of the vote is associated with a an 18 percentage point reduction in the share of trade searches shifting to negative terms. This suggests trade headlines in 2018 did not incite as much anxiety in Trump heavy states as they did in Clinton strongholds. As we might expect, potential economic losses from the trade war are positively related to searches for “tariffs” and “trade war” but the correlation is weak. A one percent increase in losses are associated with 0.02 percent increase in the share of trade searches going to negative terms. We certainly can’t infer causality from just this (there are too many unobserved factors related both to political preference and changes in search behavior, e.g. exposure to headline news) but they are some interesting correlations non-the-less.